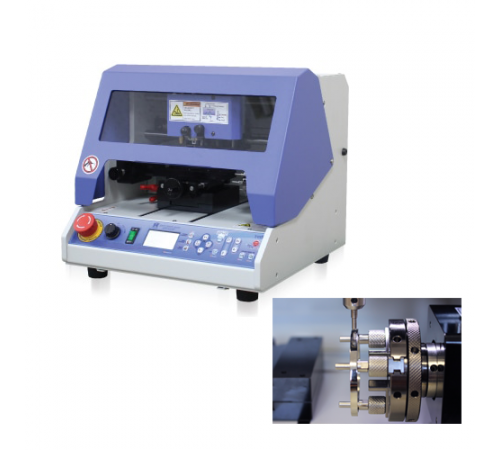 Magic-70 Multifunctional Engraving Machine Magic-70 is a multifunctional cutting & engraving machine with 4 axes able to engrave on pendant, the inside of ring/bangle, the outside of ring/bangle with beautiful and indelible letters or patterns quickly and easily. It is good for 2D carving on wax, metal, acrylic, wood and metal, 3D carving on wax, chemical wood and is also good for cutting gold, silver, copper, brass, aluminum plate for name necklaces, etc. 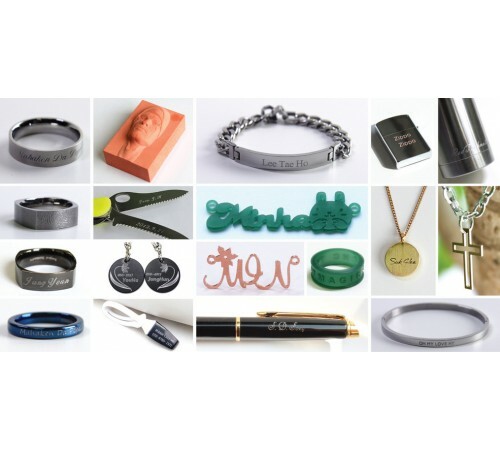 USE Engraving on the inside/outside of ring & bangle, engraving on jewelry products, medal, pendant, identification tag (pet tag), bracelet, necklace, nameplate, key chain, padlock, zippo lighter, knife, flat or slightly curved gift items and various metals or plastic materials, carving wax or chemical wood in 3D, cutting name necklaces. CHARACTERISTICS It’s used for engraving on every type of metal such as gold, silver, copper, stainless steel etc. It cuts metal material such as gold, silver, copper, brass, aluminum etc. It carves wax, chemical wood etc. in 3D. It fastens most material without changing the clamp. 3D carving of cylindrical wax for ring is supported. It can engrave on the both inside and outside of ring/bangle. A inside-ring/bangle tool(L-Tool) is built in. Bangle engraving is available(Max diameter 93mm). A larger graphic LCD screen shows machine status and guides machine use. An RPM controller is equipped for spindle revolution speed change. It’s compatible with 2D/3D CAD/CAM SW. SPECIFICATION Size 395mm(W) x 375mm(H) x 394mm(D) Resolution (XY) 0.005mm / (Z) 0.00125mm / (A)0.028125 Tool Diameter 4mm Max. engraving area 140mm (X) x 100mm (Y) x 38.5mm (Z) Weight 32.5kg Tool type Diamond Power Consumption 47W Power Supply AC 100-240V 50/60HZ Rotary Outer Diameter 76mm / inner Diameter 50mm Spindle Revolution 15,000RPM Spindle Motor Power 27W ..
Magic-70 is a multifunctional cutting & engraving machine with 4 axes able to engrave on pendant, the inside of ring/bangle, the outside of ring/bangle with beautiful and indelible letters or patterns quickly and easily. It is good for 2D carving on wax, metal, acrylic, wood and metal, 3D carving on wax, chemical wood and is also good for cutting gold, silver, copper, brass, aluminum plate for name necklaces, etc. Engraving on the inside/outside of ring & bangle, engraving on jewelry products, medal, pendant, identification tag (pet tag), bracelet, necklace, nameplate, key chain, padlock, zippo lighter, knife, flat or slightly curved gift items and various metals or plastic materials, carving wax or chemical wood in 3D, cutting name necklaces. It cuts metal material such as gold, silver, copper, brass, aluminum etc. 3D carving of cylindrical wax for ring is supported. It can engrave on the both inside and outside of ring/bangle. A inside-ring/bangle tool(L-Tool) is built in. Bangle engraving is available(Max diameter 93mm). An RPM controller is equipped for spindle revolution speed change. It’s compatible with 2D/3D CAD/CAM SW.